It’s Friday, the sun is shining, and I have a sneak peek to reveal to you today! 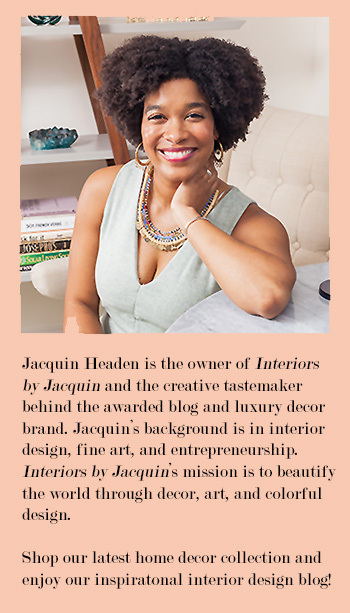 I’ve been working to make improvements to the Interiors by Jacquin brand and website and I’m excited to show you a bit of what I’ve been working on. 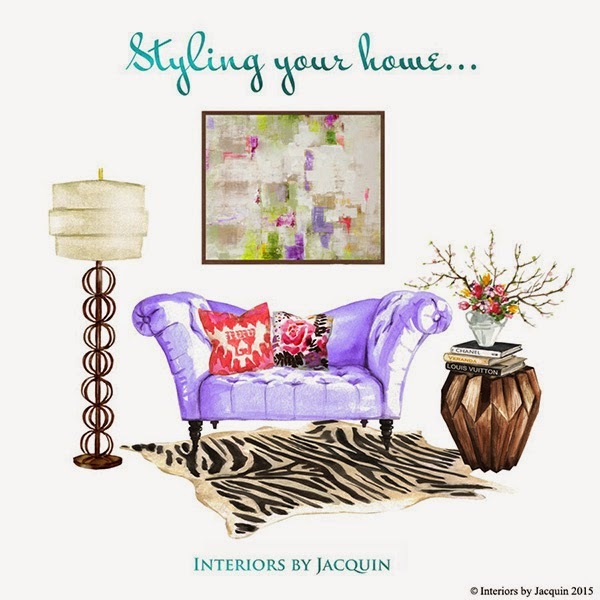 I’ve teamed up with awesome illustrator Natalia Hubbert to bring my interior design vision to life… or to illustration rather, but a stunning illustration it is! 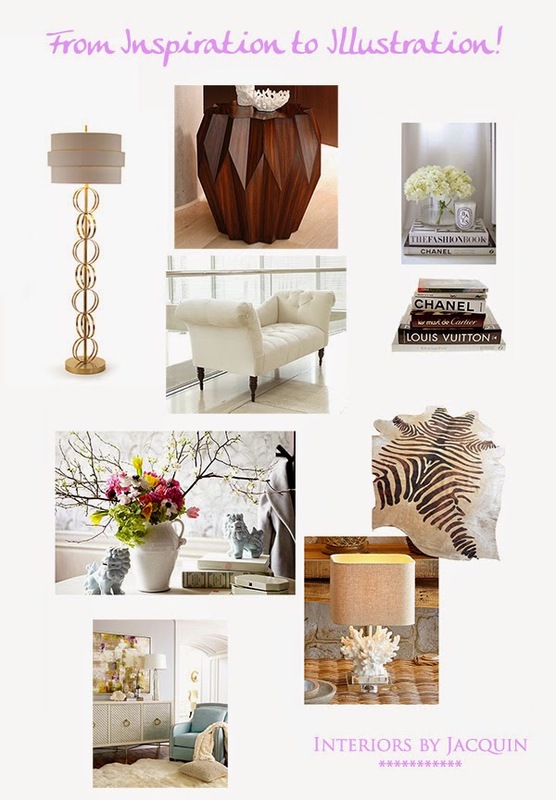 I began to design my interiors vignette by developing an inspiration board, which I provided to Natalia. Take a look at how my work went from inspiration to illustration! So what do you think? I just love it! Natalia did an amazing job. Stay tuned to see what I have in store with this awesome illustration and more! Have a great weekend!